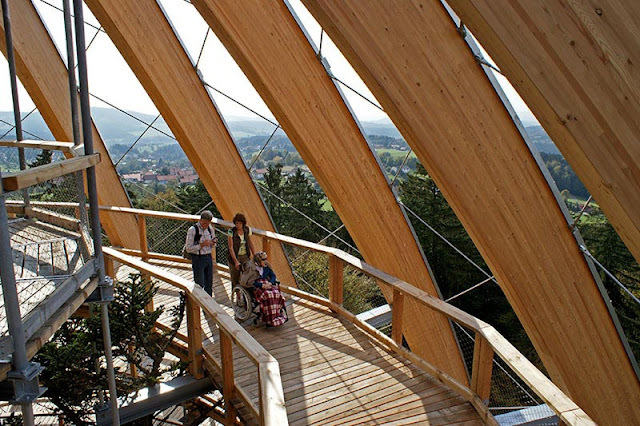 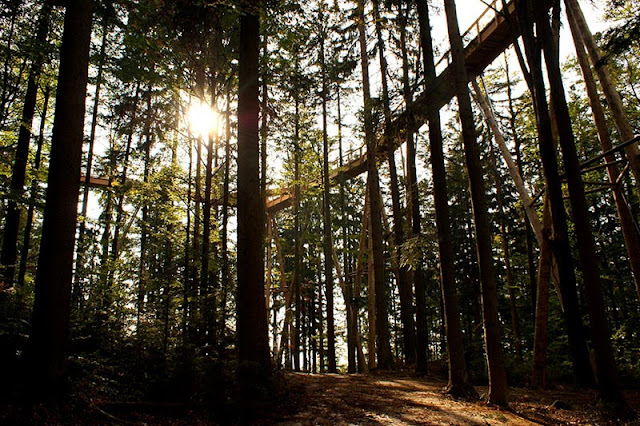 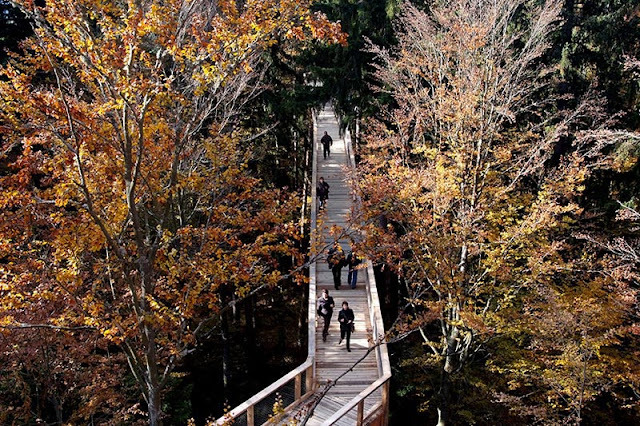 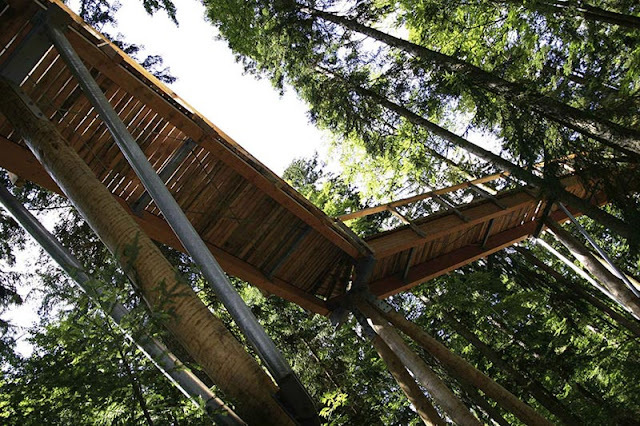 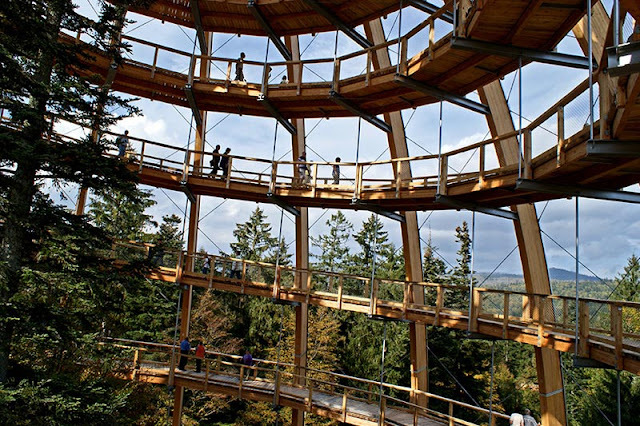 At 144 feet high, the longest tree top walk on the planet resides at the Bavarian Forest National Park in Neuschonau, Germany. 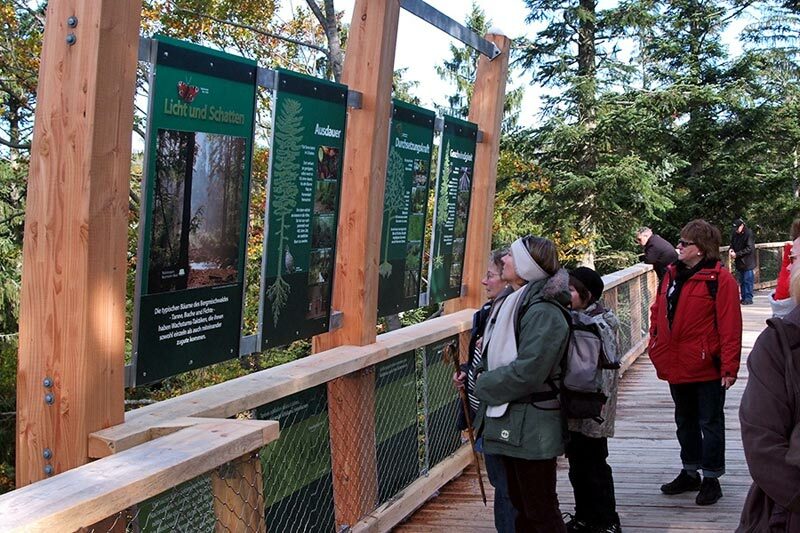 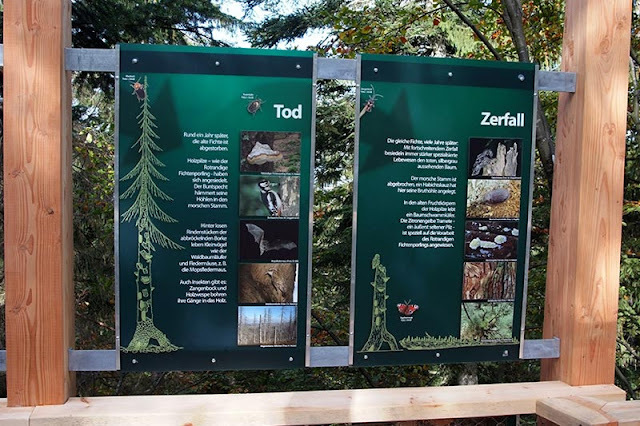 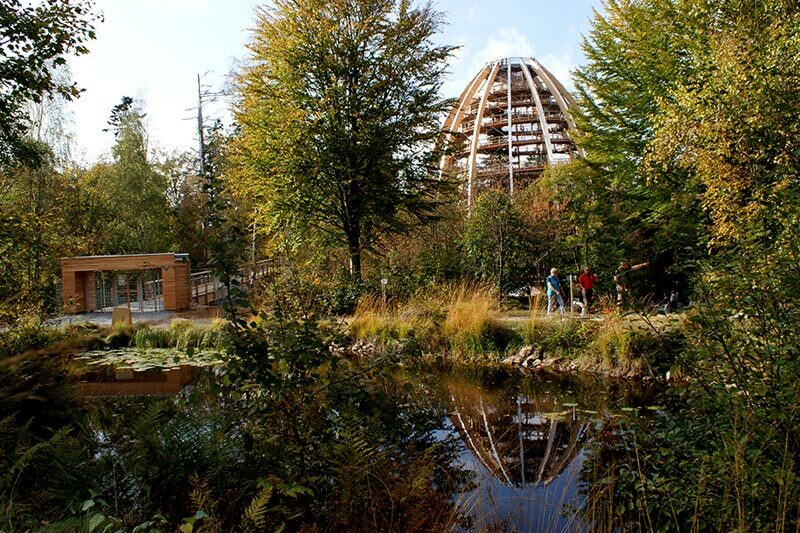 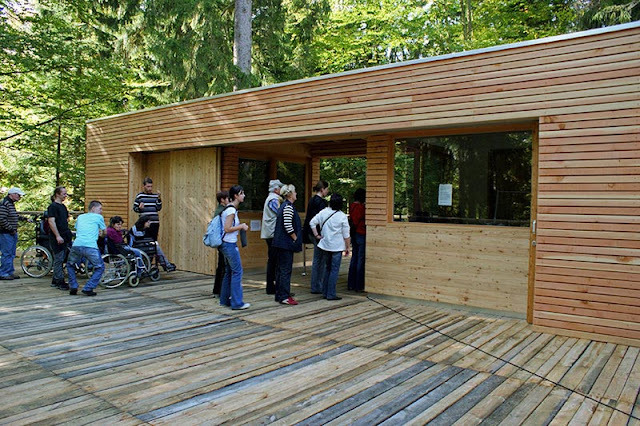 The walk is intended for any nature lovers who are feeling adventurous. 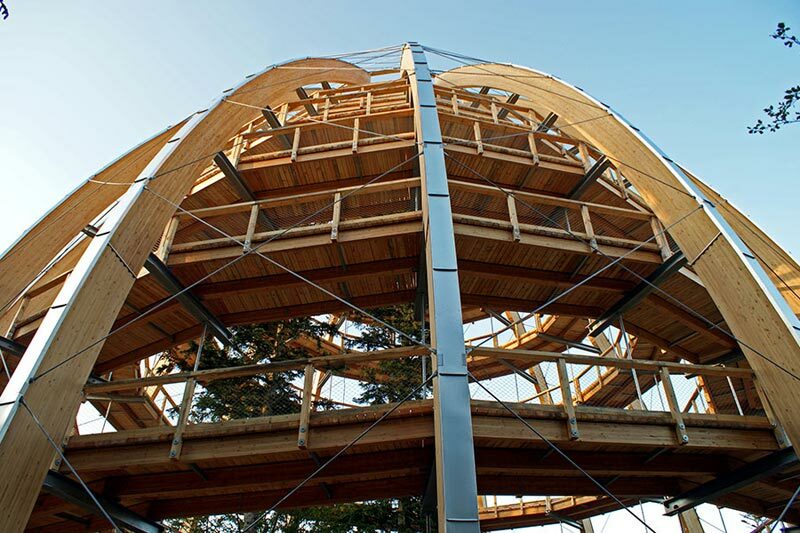 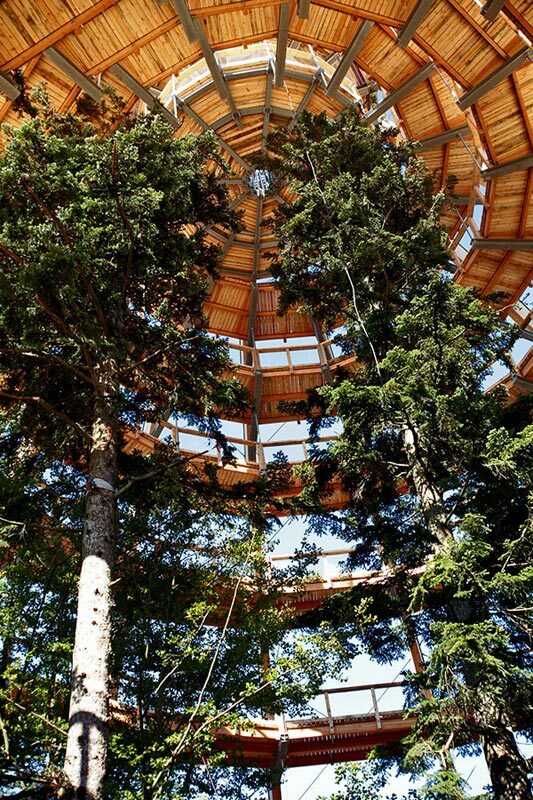 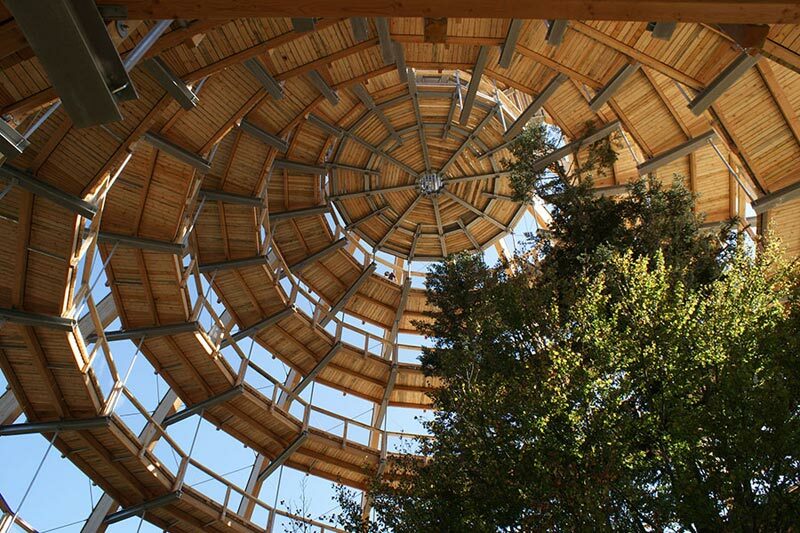 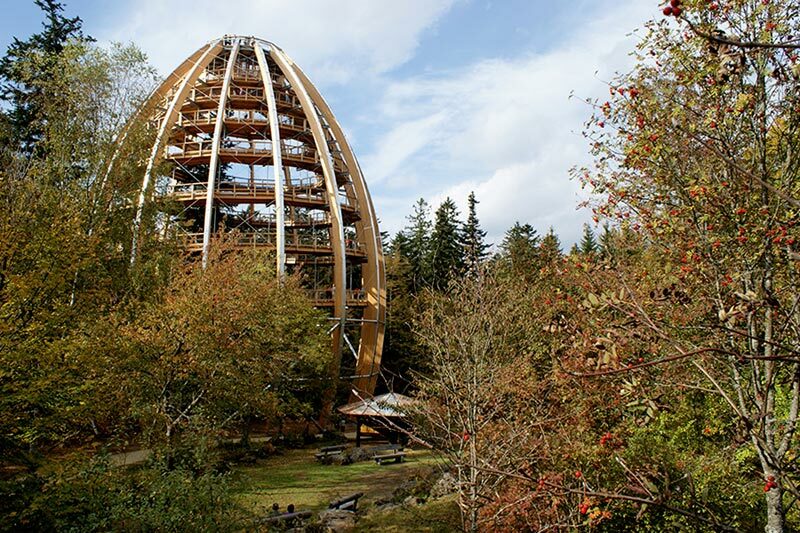 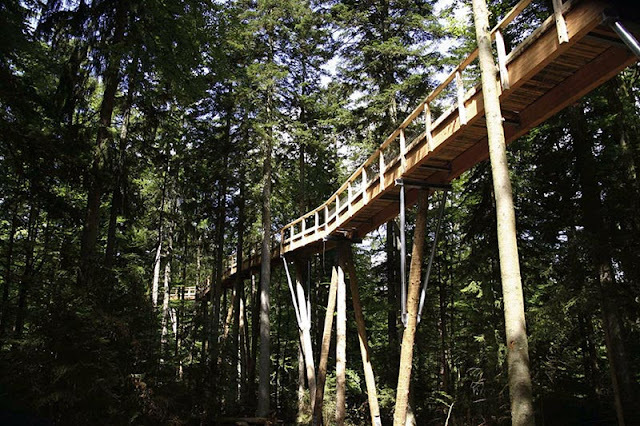 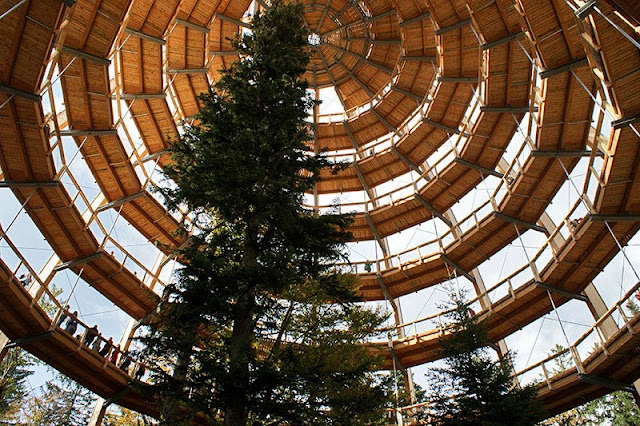 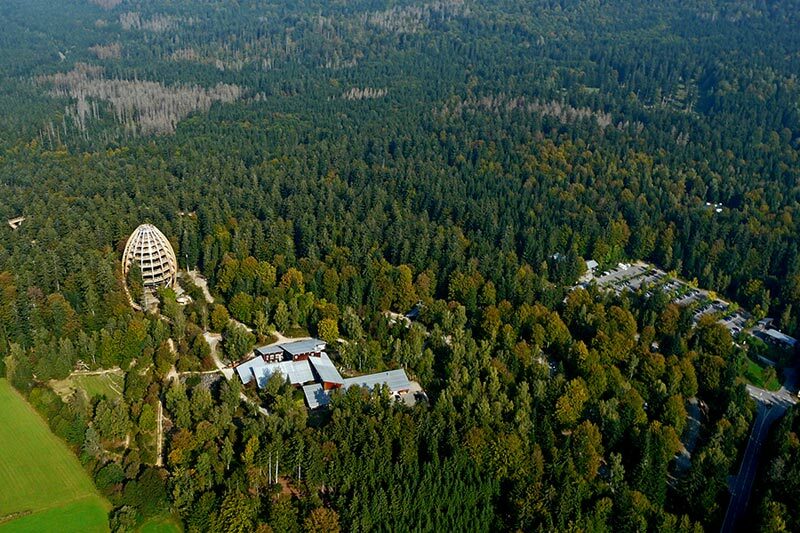 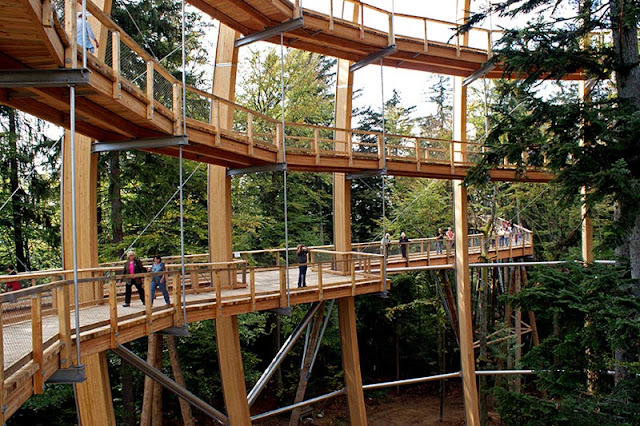 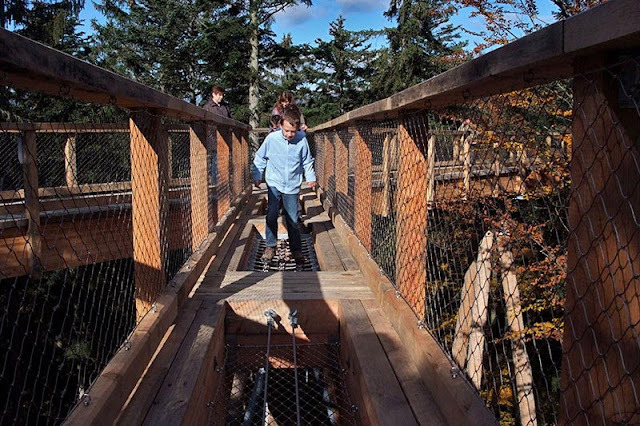 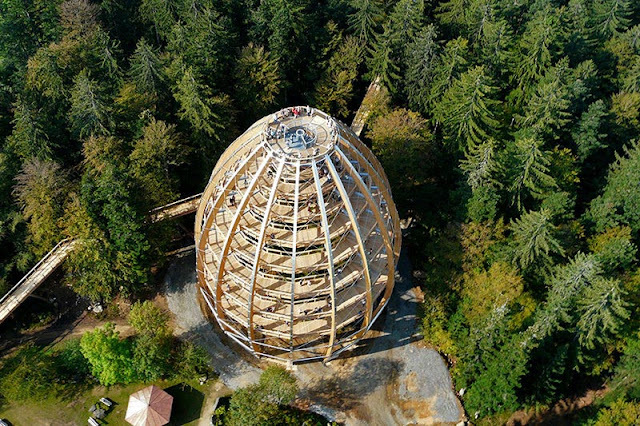 The path is actually 1,300 meters long (0.8 miles), and it culminates with a 44 meter high tree tower that is built around and above 3 giant, old 38 meter fir trees.